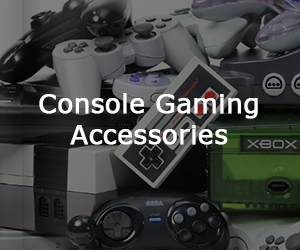 Searching for the best PC gaming accessories and peripherals? Look no further. 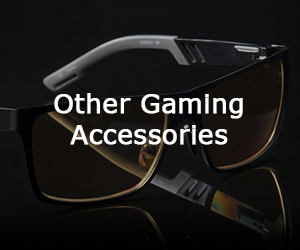 GamingHardwareReviews puts the best gaming accessories and hardware to the test in efforts to help you make a buying decision. There’s no doubt – what’s inside your rig matters. But this site is dedicated to gaming accessories. Namely monitors, keyboards, mice, and headsets. Also, gaming accessories are often overshadowed by CPU and GPU hardware. This is simply because their performance is more easily measured. Because it is more difficult to measure performance increases of accessories, it is sometimes more difficult to justify their cost. So whether you’ve got a killer gaming desktop, or an office PC sporting an integrated video chipset, everyone can benefit from and upgrade to their gaming accessories. Here are some of the best gaming accessories of 2017 awarded with Best PC Gaming Monitor, Best Gaming Keyboard, Best Gaming Mouse, and Best PC Gaming Headset. Take a look. No gaming desktop is complete without a gorgeous display. While your GPU might be capable of rendering everything on “Ultra” settings, without a proper monitor, that power might never be realized on-screen. The best gaming monitors support high resolutions, are larger than 24″, and have fast response times. The Best Gaming Monitor of 2017 award goes to the Dell UltraSharp U2515H 25-inch monitor. 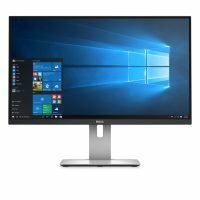 Dell consistently produces high-quality monitors. Most notably, The Dell UltraSharp U2515H, where features and value merge. While many mistake Dell monitors as simply workstation or general purpose monitors, they excel in all aspects, including gaming. One reader comments, “An upgrade to the 25-inch Dell U2515H from a 24-inch Dell 2407WFP was like getting a major video card upgrade”. Before taking the plunge on a new video card to improve visual quality, ensure your monitor will do it justice. Next on our list is gaming keyboards. Mechanical keyboards have made a full comeback in the gaming scene, making “clicky” keyboards once again sought after. With a variety of switches to provide just the right tactile feedback you’re after, those of you just looking for a good, all-around competitor in the space needn’t look farther than the winner of our Best Gaming Keyboard award, the Logitech G710+ Mechanical Gaming Keyboard. Logitech has been a contender in the keyboard, mouse, and speaker scene for years. For this reason, when they released the G710+ Mechanical Gaming Keyboard, it was an immediate favorite. Furthermore, the G710+ has remained our recommended gaming keyboard for over three years, making it the winningest gaming accessory in our lineup. Can you hear your keys? Are you unsure whether or not you pressed a key? Time to upgrade… to the G710+. Someone once asked me how to improve their sniping ability in Overwatch. After inquiring about their hardware and confirming it was up to snuff, I asked about their gaming accessories – specifically their mouse. Turns out he was playing with a generic optical mouse. I had found the problem and was quick to recommend an upgrade. 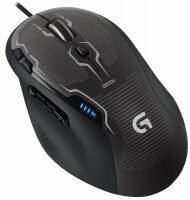 Consequently, this mouse is our Best Gaming Mouse of 2017, the Logitech G500s gaming mouse. The G500s is a worthy predecessor to the coveted G5 Gaming Mouse. Having built upon a quality product, Logitech is keeping things things fresh. Almost as good as the original, the G500s is a solid performer and there is little to dislike about this well-rounded gaming mouse. As far as gaming accessories go, a solid mouse like the G500s remains the most likely accessory to improve your skills in FPS, MOBA, and other action-heavy genres. Today’s best gaming headsets are equipped with 5.1 audio. Because directional audio allows you to accurately hear where your enemies are in relation to your avatar, it gives players an edge. Additionally, many games feature audio queues to inform you of important events or statuses that can help you improve your awareness. 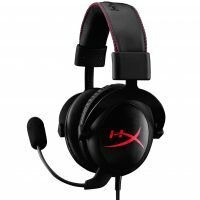 Due to the advantage these audio queues can give you, we present to you our Best PC Gaming Headset, the Kingston HyperX Cloud Gaming Headset. Best known for their system memory, Kingston Technologies knows a thing or two about PC hardware. Especially HyperX Gaming. HyperX Gaming is the high-performance division of Kingston, created in 2002. To provide a studio-grade sound stage for a competitive edge (whether for gaming, Skype, or streaming), look no further than the HyperX Cloud Gaming Headset. 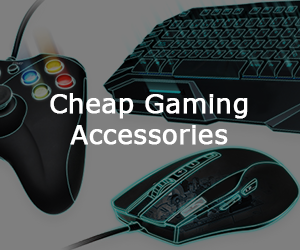 Besides the gaming accessories listed above, there are other peripherals that can improve your game – your desk, chair, mouse pad, even your clothing. Because some accessories are more important than others, focus on those we’ve highlighted first. Once you have these core peripherals, you may consider others. Moreover, don’t feel like you have to buy them all at once; try upgrading one component at a time to see if you notice a difference.